B.E.M.A., Reading High School’s Business-Entrepreneurship-Marketing Applications class, will host a jewelry party in conjunction with Destiny Rescue to help raise funds to end human trafficking. The event will be open to the general public on Tuesday, May 1, 2012 in Reading’s cafeteria from 2:15 until 4:00 pm. Can you commit to covering our school project prior to May 1st to help? The B.E.M.A. class named Destiny Rescue the primary target for their social enterprise project in January. In collaboration with Westwood Schools located in Camilla, Georgia students have been hard at work to make May Day a success. 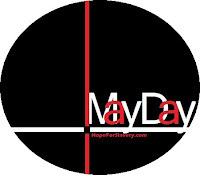 They have dedicated a website (Hope for Slaves), Twitter (@hope_for_slaves), and Facebook to the cause. Destiny Rescue is a nonprofit organization dedicated to ending human trafficking. They were founded in 2001 and since then have sent 100% of donations and sponsorships to the families and children harmed by human trafficking. Destiny Rescue encourages volunteers, sponsors, as well as people, like the B.E.M.A. class, who would like to host parties. *Note – this press release was student made. Visit www.hopeforslaves.com to learn more about their organization. If you are in the Reading area, stop by their school on May 1st and support their jewelry party. Not in the Reading, OH area? Visit the Destiny Rescue Shop and make a jewelry purchase. The jewelry has been handcrafted by girls who have been rescued from prostitution. Purchasing these products gives these girls an opportunity for a better life. 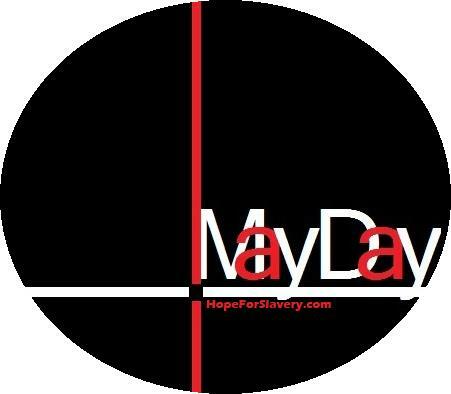 Follow Hope for Slaves on twitter and facebook. Share their information with your twitter followers or your facebook fans. What a great endeavor. Human trafficking is a poverty and lack of information issue because victims are oftentimes in despair of obtaining financial resource despite clear security issues. More power to you. From the reading I've done on human trafficking and slavery, I was surprised to know there were likely millions of people in that category - in the present! Great subject to cover - and a sad state of affairs in 2012. This is a great project. One of the things that has always impressed me about this generation is their creativity and willingness to put that creativity to use to make the world a better place. Good on them!